I was approached by my client, MilkLife, a few months ago about working with them on a campaign that ran during January 2016 to help kick off the new year and tell the protein message, specifically the morning protein message and give ideas on how to boost protein at breakfast. With new and emerging research around the benefits of a high-protein diet and its positive impact on bone health, lean muscle mass, blood sugar control, weight loss/maintenance, appetite, and satiety (feeling of fullness), this campaign took a look at where Americans were hitting their targets and where they were missing the mark on protein intake. What they realized was that there is a huge miss for protein at breakfast. 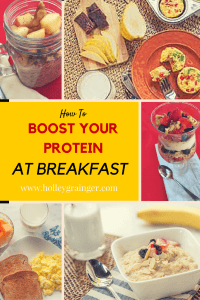 Because when it comes to protein, it is not only how much you’re eating but when you’re eating it that results in the biggests health impact and, unfortunately, Americans were missing the mark by consuming only 13 grams at breakfast versus the recommended 25-30. Now, if you’re wondering how the magic number of 25-30 grams appeared, it isn’t just something that we just made up. All of my client and dietitian friends in the protein world were examining the finding from some major studies and were telling this same story. Without getting into a major math lesson, it breaks down to the fact that in order to reap the many benefits of protein (lean muscle building, bone building, weight maintenance, etc. ), your body requires at least 1.2-1.6g/kg of protein. (Note that the current recommended daily allowance – RDA – is only 0.8g/kg) When you do the math for the average person, that results to about 25-30 grams per meal spaced evenly throughout the day (because our bodies can only use so much at a time for optimal function.) Also, the Institute of Medicine (IOM) recommends 20-35% of our daily calories come from protein. After taking a deep dive into the science and learning even more about the benefits and positive health implications from a high-protein diet, as well as hearing from some world renown researchers at a conference last month, I’m now convinced more than ever that there is a place and a need for high quality, protein at the table. So with that said, here are 5 easy and delicious ways to boost protein at breakfast. Here are a few simple tips to help boost your morning protein intake. 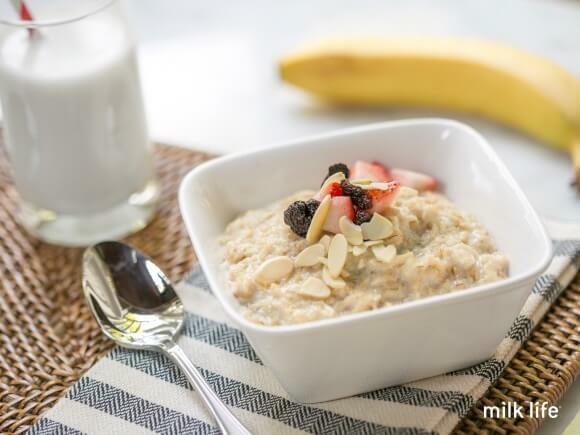 Check out the Milk Life site for delicious recipes and meal ideas that jump start your day. Just add milk. Pair a glass of milk with its high-quality protein with your breakfast or mid-morning snack is an easy and delicious way to help get the 25-30 grams of protein recommended before noon. Make 2 mini meals. If eating a heavy breakfast first thing in the morning makes your stomach turn, no worries, break it into 2 meals. 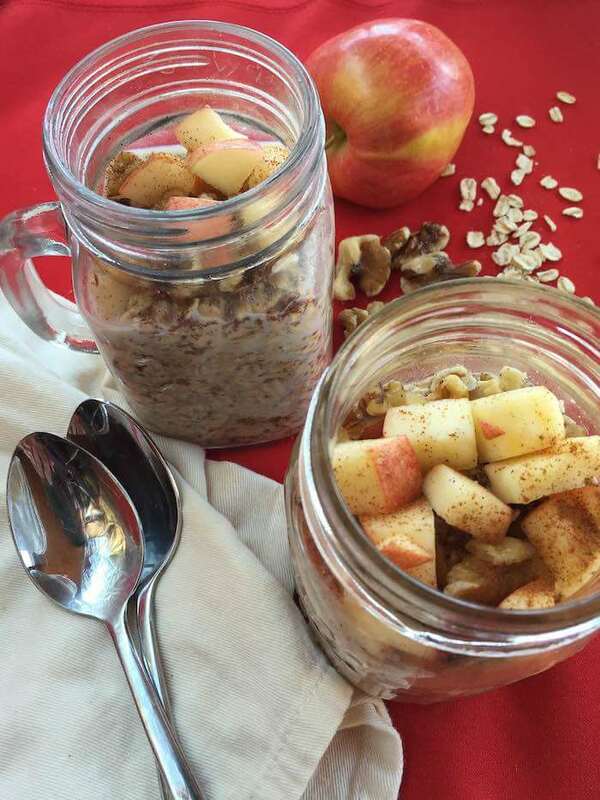 Opt for a lighter breakfast and a heavier midmorning snack or vice versa. The key is to reach 25-30 grams of protein by noon. This is as easy as a slice of toast with avocado and an egg with a glass of milk for breakfast and a midmorning snack of Greek yogurt with berries and chopped almonds. Make Your Coffee Count. No, coffee doesn’t count as breakfast but by turning your cup of coffee into a latte with milk is an easy way to add protein. Each 8-ounce serving of milk provides 8 grams of high-quality protein. Think Outside the Bowl. Well, stay in the bowl but take your bowl of cereal up a notch by looking for a protein-rich variety like Kashi Go Lean (13g) adding 8oz milk in the cereal (8) and topping with 1oz pistachios (5g), some lemon zest, thyme, and fresh blueberries. I thought this video from MilkLife captures all of the PROS about protein. It’s a quick overview of everything I shared here–enjoy! Love breakfast? Me too! 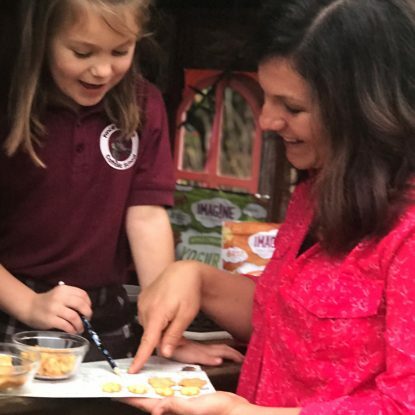 Share your favorite breakfast recipes in the comments–I’m always looking for new ideas! How do you get your 25-30grams of protein each day? Disclosure: I proudly work with the My Morning Protein campaign sponsored by Milk Life and was compensated to write this post. However, all thoughts and opinions are my own. I totally need protein at breakfast otherwise I’m starving by 10 am (and I usually eat breakfast at 8)! Making oatmeal with milk instead of water is key! Love your tips and great periscope! Thanks, Deanna! Definitely don’t look at either side of what was on the camera bc the mess was hidden! I love oats with milk too–and a massive handful of blueberries and a scoop of peanut butter! 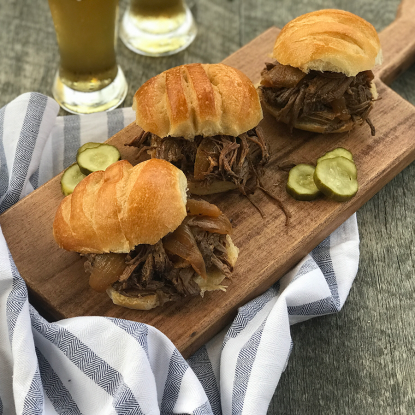 Yes, you CAN have a nutritious dinner on the table even after a late day at work or after-school activities when you make moist, tender Slow Cooker BBQ Chuck Tender Roast. 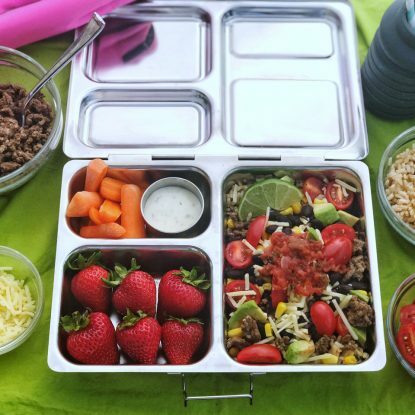 Transform last night’s leftovers into a clever, customizable lunchbox recipe for work or school by packing Beefy Burrito Bowls. This lunchbox idea is so deliciously simple that even the pickiest of eaters will be pleased.